BHARGAVA HOSPITAL is Best Hospital in 15/263, CIVIL LINES, KANPUR - 208 001. You can find BHARGAVA HOSPITAL Contact no/phone number, BHARGAVA HOSPITAL Book Online Appointment, Ask Question, Find & write Reviews, Hospital Opening and Closing time, BHARGAVA HOSPITAL Fees, BHARGAVA HOSPITAL Features, BHARGAVA HOSPITAL Doctor list on www.365doctor.in. 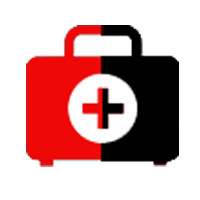 Tags BHARGAVA HOSPITAL, BHARGAVA HOSPITAL reviews, BHARGAVA HOSPITAL Contact no, BHARGAVA HOSPITAL Appointment, BHARGAVA HOSPITAL Doctors, BHARGAVA HOSPITAL Address. Ppm Medical Research & Trauma Centre Pvt . Ltd.